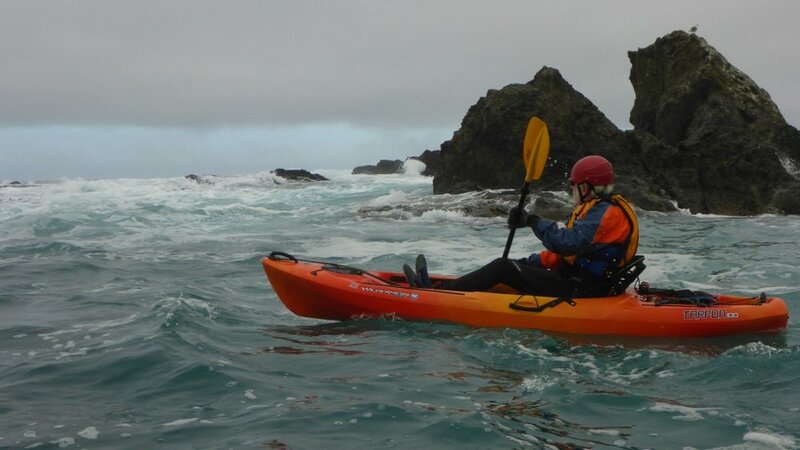 LFK's Intro to Ocean Kayaking Course is designed to apply your basic kayak skills to the ocean environment. 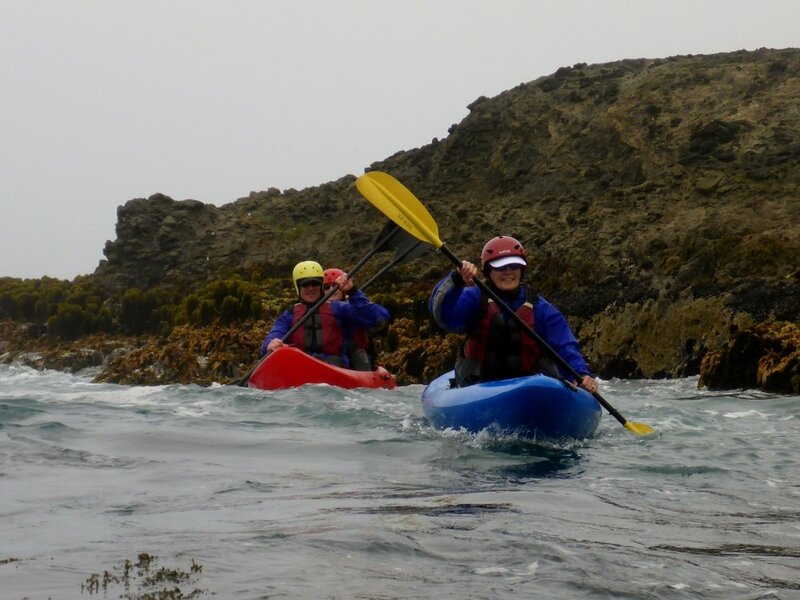 We will work on launching and landing techniques, skills for exploring rock gardens and sea caves, and practice what to do when a kayak capsizes in the ocean. 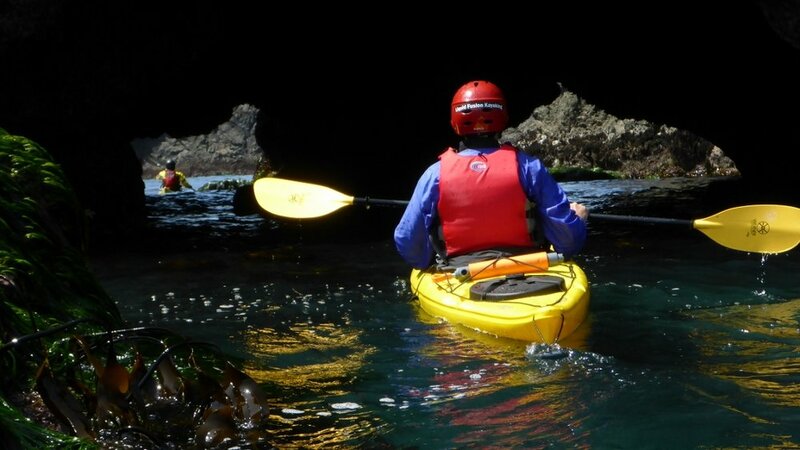 Intro to Ocean Kayaking is available as a private lesson or custom class. Contact us for availability. Paddlers are expected to have previous kayak experience. You may use your own kayak if it is sea worthy or rent one from us. Wetsuits and life jackets are required. You may use your own or rent one from us. 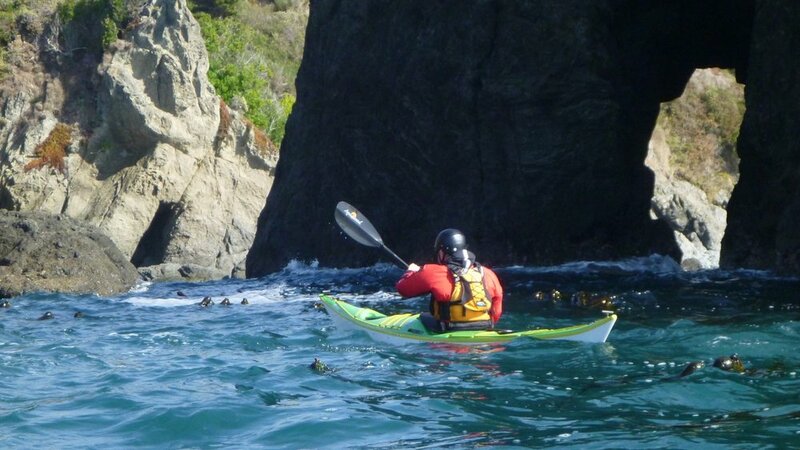 Pricing for 3 Hour Intro to Ocean Kayaking for participants using their own kayak and equipment. Kayak Rentals are $50/kayak and include kayak, paddle, life jacket. Wetsuit rentals are $10/person.